I started married life armed with a recipe box from my mom, a Hershey's cookbook, one of those awesome "best recipes collection" cookbooks from a school in Tulsa, and a subscription to Cooking Light magazine. We lived in an old duplex in Dallas with the cutest vintage stove...that only held the *smallest* cookie sheets. It was such a fun time...trying new recipes...and spending a small FORTUNE buying every spice and condiment to stock our little kitchen. When BHLDN asked if I'd like to take a look at a new book in their stores, The Newlywed Cookbook by Sarah Copeland, all of those sweet memories came flooding back. "BHLDN, Anthropologie’s sister brand, is a specialty occasion & wedding retailer that specializes in creating the perfect apparel, accessories, and décor for your soiree. From gorgeous wedding dresses to elegant wedding decor, BHLDN has uncommon products to add that certain special touch to any ceremony, big or small. For those of us not planning a special occasion, many of their products are perfect for every day: from a pair of sparkly heels to spice up your party look or a swoon worthy cake stand that’s almost as beautiful as the cake itself!" Even if, like me, you have a few years of married bliss under your belt, you're going to love BHLDN! A few of my most favorite items? I am *in love* with this locket, this jadeite cakestand, and how cute are these bride & groom coasters?!? 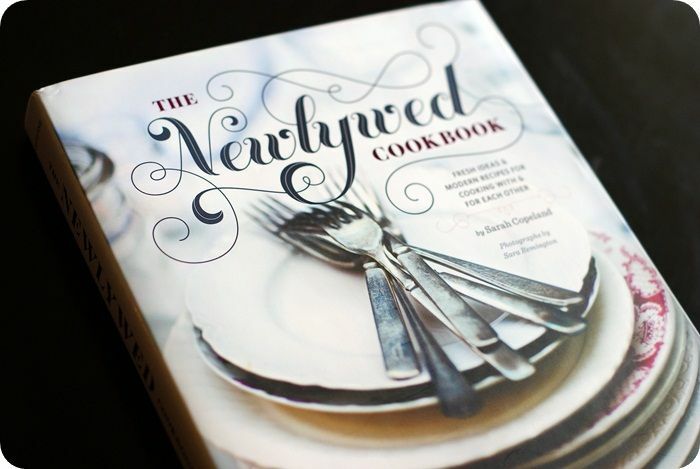 Alright, let's talk about The Newlywed Cookbook. It's gorgeous. Beautiful cover, photographs, fonts, you name it....gorgeous. 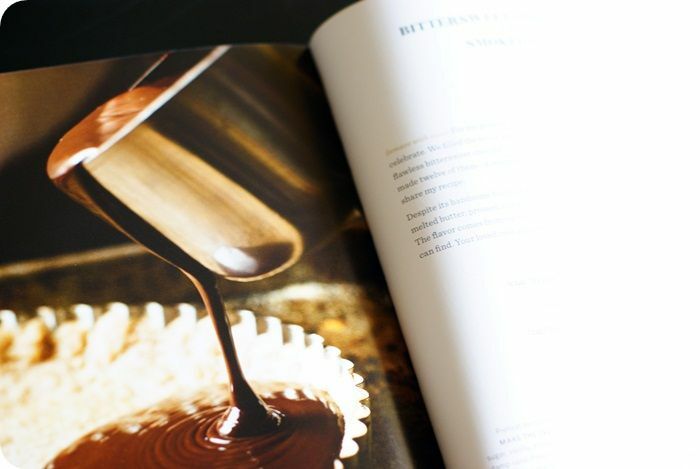 The recipes are beautiful, too! Not your typical meatloaf and mashed potatoes, you'll find recipes like cheddar-cornmeal biscuits, gnocchi with summer beans, and bittersweet chocolate tart. 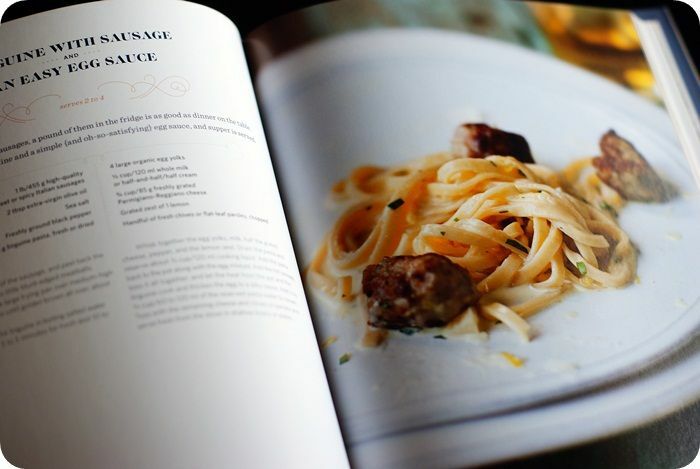 Recipes include everything from breakfast, to romantic meals for two, to sips, to desserts. To enter, visit the BHLDN website, come back here and tell me one (or more) item you've fallen in love with. WINNER: Kara, who said, "I've been married for 16 years! Wow time flies!" Yay! Comments will be accepted through 11:59pm CST, January 16th. Good luck!!! I love the quartzite cake stand. I have been married for 7 years! The Lambertville Brooch is amazing! Married for 5 years, great time! Thanks for the reminder. You told me about this store months ago and I loved their website. This is a great reminder to go back. It's beautiful! I'm swooning over the Lambent Knot Heels! http://www.bhldn.com/shop%2Dbridesmaids%2Dpartygoers%2Djewelry/vintage%2Dcocktail%2Drings I could use a cocktail ring - so pretty! What a great website. I love the shoes - oh those shoes! And the decorations for receptions are awesome, especially the different garlands and the blooming orchard confetti and the love letters mailbox. Such sweet ideas for decorating. And yes, I'm married and have been for 15 years. 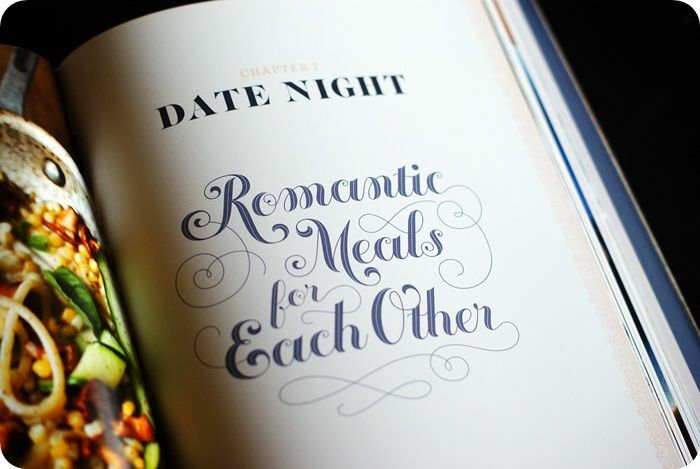 I love to plan, cook and serve romantic dinners for my husband even after all this time! Married for almost 8 years!! Wow! Thanks! The Twinkling Kitten Heels and the Finery Cardigan! I wear cardigans almost every day and I cannot express in words my love of sequins. It's perfect. We've been married since August, but it was private (two witnesses), so we're having a shindig with family and a few friends at some point during the summer. I'm in love with this store. Hard to pick a favorite but right now I'm loving the effervescence clutch. I have been married 27 years this March 15. One of my earliest memories was realizing that I didn't know how to work the convection oven in our apartment, burned the chicken, and cried all night telling him to go back to his mother for a good meal. He ate it, needless to say, and then we both tried to figure out the oven. The Bowie flats are adorable! Married 3 years this May! I have been married 16 years. My cooking (other than my cakes and cookies) is more like I am a newly wed. LOL. The Pintucked Doily Treat Pedestal looks too cute! I have never heard of that store, but instantly fell in love just now looking at their products. I think I am most in love with their nightgowns. So pretty! I like all of them, but specifically I think the polished racerback romper is my favorite. 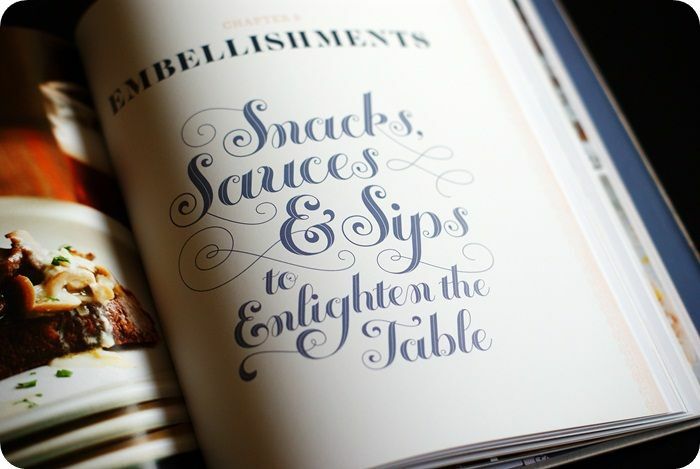 Not only do I WANT this book, I also absolutely love the Jessamine Robe and the coral cake stand. I'm getting married in April! I love the petits four plates and the coral cake stand! I love the simplicity of the delphic impression ring: http://www.bhldn.com/shop%2Dshoes%2Daccessories%2Djewelry/delphic%2Dimpression%2Dring/productOptionIDS/f314d873-ef50-4ba8-88ab-7e634f1f2445. I loved so much stuff...looked at a lot of the website and it was all so cute. Cake toppers, garland....this list of favs goes on and on. I'm not married! Haha I turned 20 yesterday. :) I have a few year's to go. I can see myself using the patisserie cake stands and the pellucid platter every day! BHLDN... my favourite! I wouldn't say no to the Cloverleaf ring (http://www.bhldn.com/shop-bridesmaids-partygoers-jewelry/cloverleaf-ring/productoptionids/d6588c0c-04f9-46b0-b5da-0086a7a09584), though my bank account definitely would. And no, I'm not married, but I've been with my boyfriend for four and a bit years and I think he's just lovely :). I am basically in love with everything on that website and visit it almost daily. If I had to choose today, I'd get the frosted dot coupes! I've been looking for vintage (or vintage-y) cocktail glasses lately, and these would do nicely! I have been married Since November 2011—BHLDN was a huge inspiration for my wedding, as they launched shortly after we got engaged. Love them! I've been married for 6 years...it will be 7 on January 21! I love that site! I want the D' Orsay shoes! They are gorgeous. I've been married six years! I love the Coral Cake Stand! I love the pinwheel tea dress! Super cute! Why must everything so pretty be so expensive? Oh well. I really liked the buttermilk cake tray and the petits four plates. Those little plates were so beautiful! Oh my gosh. The Broccato d'Orsay shoes!!! I love the Elysium Gown! Simple yet elegant! I love the Perita Moreno earrings! I LOVE the petits four plates - they're so adorable! love the porcelain blooms. they are so pretty! I love the Tackety pitchers. I love the mr. and mrs. minted gold signs...and the backdrops...and wow, everything is gorgeous there! I know these are little, but I love the corks with porcelain toppers. So wonderful! We've been married for one year, one month, and three days! We have been married 10 years! My favorite item is the Pintucked Doily Treat Pedestal. Would be perfect for anything! I've been married 3.5 years! But we've only lived together about six months because my husband was in the Navy and far away...i couldn't move with him. So, we're sort of newlyweds? Wow! What a great site! I loved the blue bud ring pillow! I have been with my husband since I was 15 and he was 16. We have been married 37 years! I am in love with the Ribboned Garland Dress-- I get on the website every couple of days to ooh and aah at it! I am getting married fall of next year, so I'm very glad I stumbled over this. I'm having a vintage wedding and this website is perfect:) :) I really like the good nacht lanterns & the take a seat card holder. I couldn't decide which I liked more :D I'm so excited! I just LOVE this dress http://www.bhldn.com/shop%2dbridesmaids%2dpartygoers%2ddresses/ebb%2dand%2dflow%2dwrap%2ddress%2dgrey/productoptionids/684d2e65-d9dd-4e39-842b-7d598138234d. I'm the MOH in my best friend of eleven years' wedding later this year and she's letting us pick our own dresses with a grey color. This might be the one!! Also, I'm recently engaged (6 months) and hopefully my soon to be hubby will love [almost] all of my cooking in the coming years!!! I am so loving the Ribboned Silk Gown (even though I have been married for 14 yrs and I loved my gown too). I love the Buttermilk cake stand! I also love the Sugar plum Sling back shoes! I have been married now for 14 years and two months. I'm a newlywed, my husband and I will be celebrating our one year anniversary in May! It would be easier to post what I don't love from this website. I love those Perito Moreno earrings and the Daisy Doll dress. I think the sixpence cards are adorable. I love the Buttermilk cake stand! I have been married 4 years, 5 this September! I love the mr and mrs chair signs!! i've been married 23 years this year! My favorite thing about that site has always been the shoes! Right now my favorites are the Brocatto D'Orsay heels and the Moonlit heels. If only I had enough free cash for two pairs of $300+ shoes in my budget! And I'm not married, but I do love to have my favorite married couples over for dinner quite often. Love the jabot frame. Perfect to display family memories! We've been married for seven months now. Still sometimes surreal. I love all the jewelry especially the petite moreno earrings! I LOVE the little birdy cake toppers! Too stinking cute! I loved the patisserie cake stands! I'm not quite married yet, but in the depths of planning-- our wedding is this April! The website is so cute! I loved The Etiquette of Love and Courtship: A Guide for Romantics. Too cute and vintage. I also loved all of the cute cake stands, my favorite was the coral cake stand. I love the small metal ampersand my daughter used as a cake topper at her wedding. Married 41-1/2 years, together 48. I adore the silhouette plates & patisserie cake stands! Just celebrated our anniversary 10 days ago! Married 15 years to the man of my dreams! I would love that win that beautiful book! And get that jadite cake stand. Wowsa! The patisserie cake stands are just begging me to take them home! And we've been married for a little over five years. Still the best decision I've ever made. Happily married for 7+ years now! The pink quartzite cake stand is so pretty. I 'd love to have that holding up some cupcakes on my kitchen counter. I like the sweetheart napkin rings! I loved the pierced hear truffle plates, so cute. Everything is absolutely beautiful. I'm in love with the Royal Icing Cake Stands. Yes, the name caught my attention. It's FOUR cake stands in different designs. Love! I am not technically "married". . . but I'm very happy nonetheless! I am not married, but have been together with my fiance for 13 years. Maybe this year will be the year. I love the Firenze Tray! I love the bent light candle holders. I may be buying them! I have been married to my wonderful guy for 15 years! I would love the radiant sandals. They look like they could be dressy or dress up a casual outfit. We just had our 2 year anniversary a few months ago! I have been married for 3 months and it has been great! I love the buttermilk cake stand. And I really do need to get a cake stand. I love the Patisserie Cake Stands. They could continue to be used throughout the marriage as a reminder of the wedding day! I've been married nearly 19 years! I love the petits four plates and pink cake stands! The petit four plates! So charming. I have been married for 3 years. And despite having never been married and being utterly single right now, I couldn't stop myself from a stroll through the gowns. I love the abundance of shorter dresses (which would be my choice). Pretty! I love the marbled pink cakestand! How can you not fall in love with just about everything on their site?! I really love the Patisserie Cake Stands. and I'm not married, but live with my boyfriend - and still love anything and everything wedding related! I have been married 5 wonderful years :-)! I really love.... EVERYTHING! What a great find! I am not married,,,,, yet! I really want the book Let's Bring Back: The Cocktail Edition. I love all of the cake stands! Honestly, I just spent way too much time daydreaming about my future wedding now. Oh and I'm not married, but I have a wonderful boyfriend who really sees me being his wife some time after we both graduate college. :) And to the commentors saying they have being married nineteen years, you've been married as long as I have been alive! That's crazy! I wish you all the best. Of course, everything there is frustratingly beautiful. Surprisingly, I was drawn to the pair of clover earrings even though I'm not an earrings person. I love the gypsophila post earrings! I think I'm too old for it, but that Nexis dress is so cute! 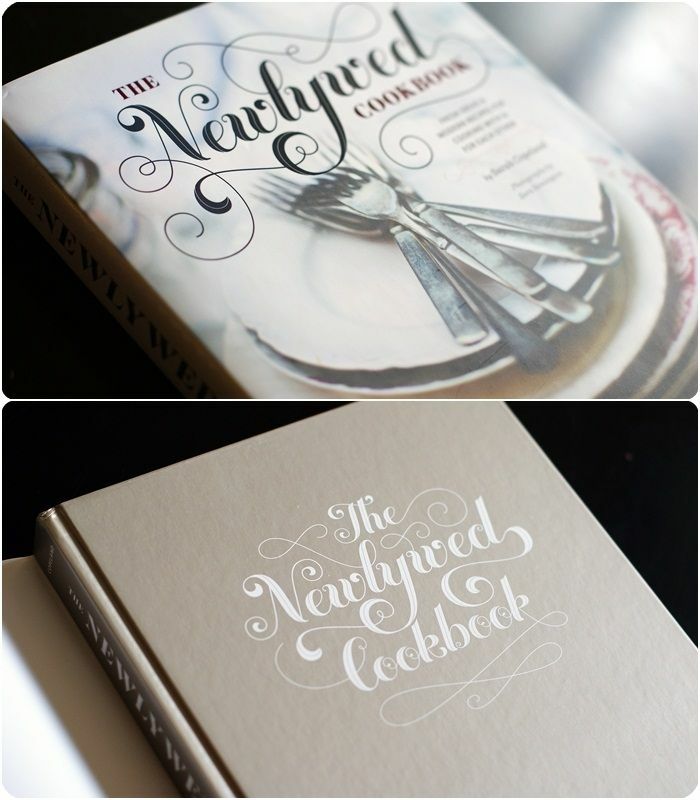 Have never been married, but would still love the cookbook! I really am taken with those galvanized treat pedestals. I'm drawn to the industrial look. Very cool. I've been married twice: the first time for 10 years and my second marriage is going strong on nearly 5 years. I only say that because I didn't learn to cook until my second marriage! My first husband only wanted to eat fast food and was very unadventurous culinary-wise. Second husband and I are more simpatico. All the cake stands are divine! And nope, I'm not married. My husband and I were married on 9.10.11! Ooh I am in love with the Acacia Lace Clutch! Simply gorgeous! I'm an Oldy-wed. But have girls getting married. And I am a nearly-newlywed. We're getting married in September! The Vintage Tea Party, the cakes that were left unfrosted on the sides(I want a slice right now! ), and the Petit Fours plates. Some really beautiful items there for sure. My husband and I have been married for 36 years. And we still like each other. Oh goodness I am not a newlywed but I sure love this book love it! I did go visit the website ~ cause I have a dear friend that is a weddin planner and always on the prowl to scout new things fur her...lovely site ! I love the shoes...purdy!! I will forward to her... Thanks and have a lovely day...want that book! Love those Duchesse Heels! The lace is so pretty. I love the fair weather pill box hat! And the Parisian ballet flats in pink and the elopement pumps the glittering consort hearings and the tackety pitcher round! They have too many things I like this could be a problem LOL! My hubby and I have been married 13 years this August! I love the Silhouette Plates most! I think that my favorite items from BHLDN would have to be their decor items!!!! The Quicksilver cake stands and the petit four plates are divine! Especially those cake stands, can't get enough of those it seems! Yes, married two and a half years! Love being "young marrieds." Ooooooooooooh these are so pretty!! I love the amberish colour. I am not married, unfortunately, but hope to be one day, in the next five years, preferably. I have been with my significant other, Max, for a little over 3 years now, and look forward to building a life with him! 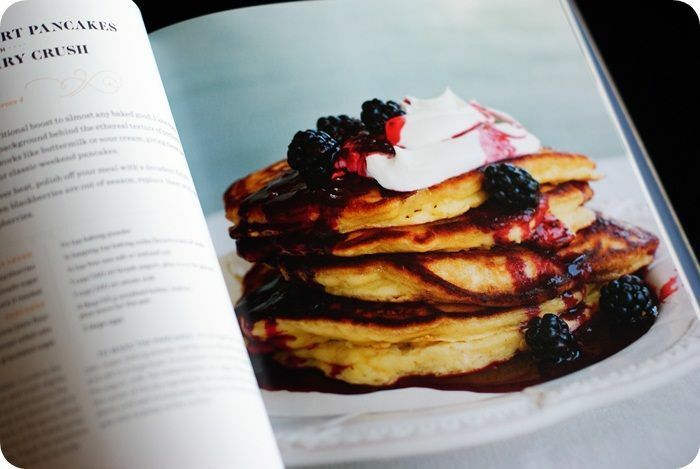 And that cook book would be perfect for us! I must confess that I've been eyeing it for a while now, and we really are such foodies! And we really enjoy cooking together! THIS IS THE CAKE STAND OF MY DREAMS! I am no longer married but I was married for almost 19 yrs... does that count? My husband and I have been married three years as of this past September! I am not married, but I just moved in with my boyfriend last fall and everyday's been a blessing! I love the all of the head pieces. I really like the royal icing caake stands. Nice book! I love all of the cake stands. I've been married for 28 years. I really like the fairytale finale flags, the parity salt and pepper shakers, the salut flask (love this!) and the heart shoppe straws are super cute! We have been married for over a year!!! I love the Feria dress.